Our skills cultivated through long years of experience must be of use to you. 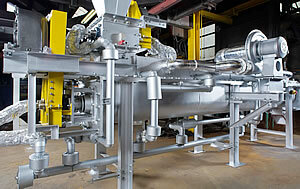 We can perform integrated production through design, development, construction and maintenance. 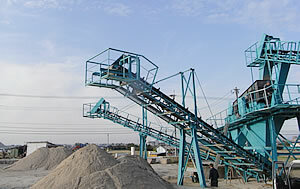 We make various kind of conveyor, any kinds of industrial machineries and also environmental machineries and apparatuses finely upon customer’s requests. We are able to performe integrated production through all of designing, building, construction and maintenance, so that we definitely can solve your problems. We start with customer consultation followed by design drawing, machine building, setting up and maintenances, so that all of our products are order-made and made with love and sincerity. Other than transport devices like conveyors, please don’t hesitate to ask about any product you need, e.g. labor-saving machineries and apparatuses, environmental machineries and apparatuses, etc. Please ask about installing new facilities and plants, establishing production lines, modifying existing apparatuses, and also repairing them. We have experience of designing and manufacturing for more than 54 years since founding of our company and we have been gaining experience in the field directly. We can take care of any materials. Steel, stainless steel, aluminum, resin, etc. We are having long relationship with our customers in wide range of industries. Foodstuff, beverage, bread making, marine products, semiconductor, aluminum refining, chemical, automobile, liquid concrete, cement, pulverizing, resin, logistics, industrial waste, recycling, etc. It is not promised that 100% of cases can be managed, however, we will do the best we can. We also can make and sell screw or spiral blade alone. We are making KENKI DRYER which is dryer with technology patented internationally and which can take care of adhesive, sticky and viscous materials and also raw material slurry in liquid state that no other company do. Also, we are a domestic seller of Biogreen which is a pyrolyzer realizing zero-emission drying system by gasification, carbonization and production of oils, and which is a product of ETIA France using internationally patented technologies and being operated in more than 15 countries. 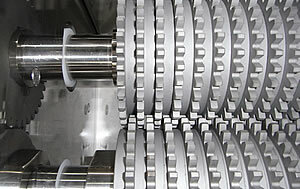 Please don’t hesitate to contact us to solve your problem within any kinds of machineries and apparatuses.